At the helm of McGrail Vineyards in Livermore, Heather McGrail gets down to earth in both the culture and terroir of Livermore Valley wine country. The winery is a family affair dedicated to creating an unforgettable experience and crafting the finest Cabernet Sauvignon. The vineyard is managed with sustainability and quality in mind. Here, Heather shares some of her most favorite experiences in the Tri-Valley. What does a perfect day in the Tri-Valley look like? There are so many Perfect Days in the Tri-Valley and Livermore Valley Wine Country I can’t just pick one. So for my family day (since I’m a mom of three, most of my days are family days) we love to ride our bikes through the vineyards to Underdog Wine Bar for lunch or Retzlaff for tasting and a picnic, and then downtown to the Farmer’s Market or Ale House. Most of the wineries are family friendly, so often times we will pick up sandwiches from Casse Croute Bakery and then bike to one of the wineries and enjoy a picnic on the beautiful grounds. When my girlfriends come into town I try to always stay at the Purple Orchid (or Rose Hotel) and get a spa treatment. Then we head out to the wineries for a fun day of discovering new wines. After a day of wine tasting, we end up downtown and love to hit up Double Barrel, Swirl, Beer Baron, and Pura Vida. I love that most places have live music on the weekends. The real question is… why wouldn’t you stay overnight in the Tri-Valley? The Bankhead Theater is putting on great shows and then the downtown area in Livermore is hopping, from Simply Fondue to Zephyr Bar and Grill and everything in between. You can hike, bike, wine taste, beer taste, enjoy a food tour, and stay for more the next day. 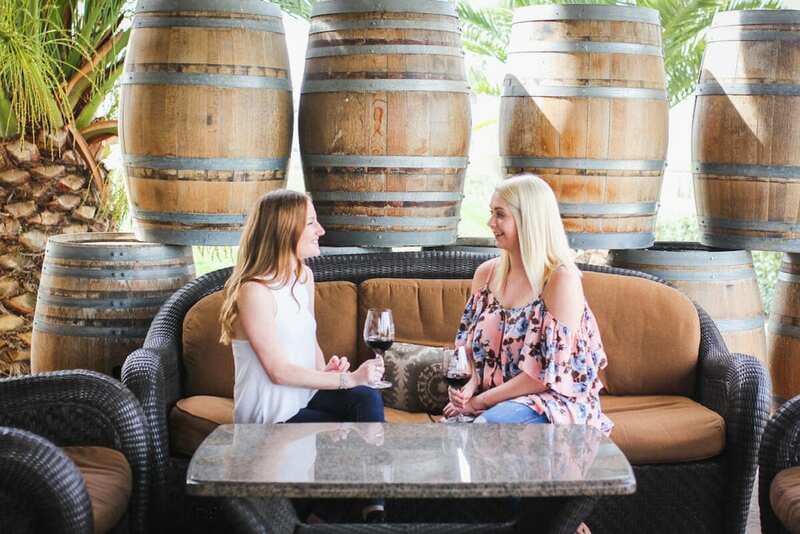 Favorite tasting experiences in Livermore Valley Wine Country? My favorite tasting experiences include Nottingham Cellars and what they have going on off of Vasco Road. You can park and hit up at least four wineries, a brewery, and a distillery. Then after you get a feel for the “industrial” type of wine tasting experience heading to the Greenville Hill will give you a picturesque view of the Valley and several vineyards. A few of my favorites are our neighbors 3 Steves and Charles R Vineyards. Their wine is delicious and you feel like you have left the city, but you’re only a few minutes from town. And you can’t beat sitting on the patio at our place, McGrail Vineyards, and sipping on our rosé overlooking a game of bocce and the entire Livermore Valley.